The folks at B&H realize how interesting but also how complicated the addition of video to the D-SLR has made our buying decisions and how many new accessory needs it has created. 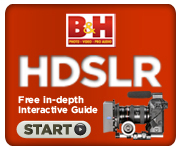 So they've created a really nifty interactive guide to HD-Video D-SLRs that you can benefit from for free. 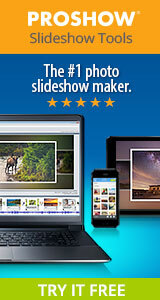 Just click the Start button in the HDSLR logo to the left of this post to get started. And make sure and let us know what you think about their information on the subject. In the continuing barrage of new digital cameras, Canon has fired the most recent shot with the new 60D mid-range consumer/prosumer D-SLR--a solid upgrade to the popular 50D. With a stunning 18MP sensor firing away at over 5 frames per second the Canon certainly doesn't have entry level specs. 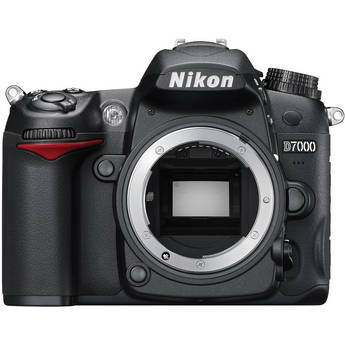 One nice twist (if you'll pardon the pun) is the addition of a fully adjustable LCD, typically only found on video cameras and some point and shoots. 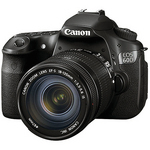 You can drool over the Canon 60D page at B&H, but it isn't expected to ship until September. Canon estimates the sale price as $1099. You can read the full release online.